The debates between Daniel Webster of Massachusetts and Robert Hayne of South Carolina gave fateful utterance to the differing understandings of the nature of the American Union that had come to predominate in the North and the South by 1830. To Webster, the Union was the indivisible expression of one nation of people. To Hayne, the Union was the voluntary compact among sovereign states. 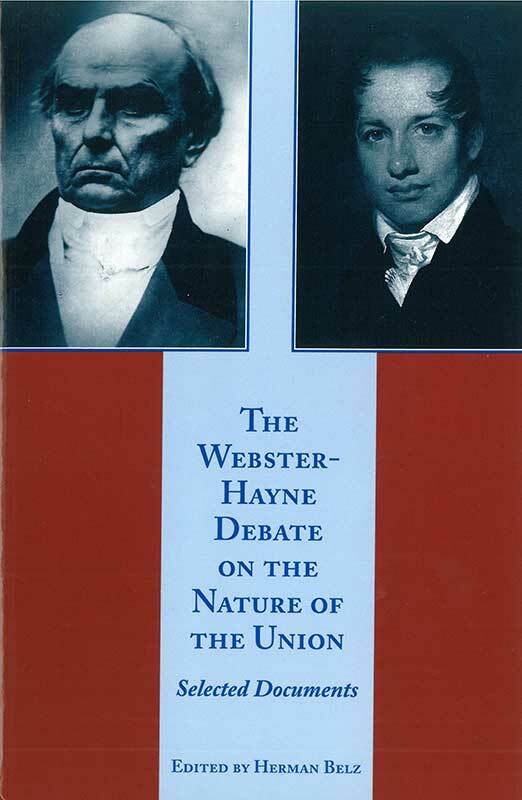 The Webster-Hayne Debate consists of speeches delivered in the United States Senate in January of 1830. Herman Belz is Professor of History at the University of Maryland. Foreword, notes on the text, bibliography, index.